SIFANG, CSR (China South Locomotive & Rolling Stock Corporation Limited) (Chinese) Imported in 1999. First DMU from China. Prime mover manufactured in China according to German MTU technology. Successful DMU in sub urban flat lands. 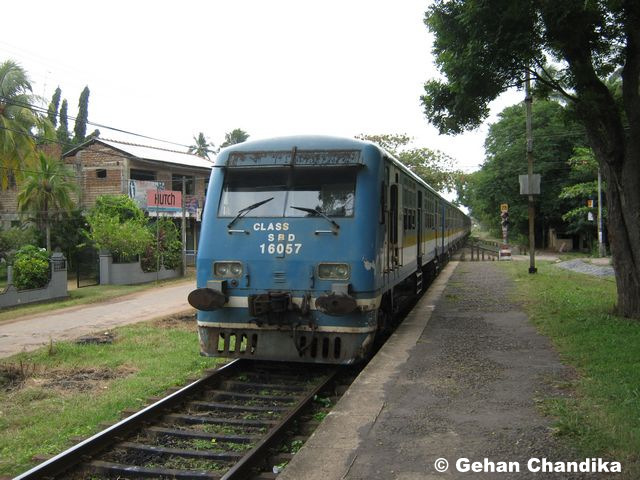 Mainly used for office commuter service in coastal and main line. Using in all braod gauge lines except in KV line and beyound Rambukkana.